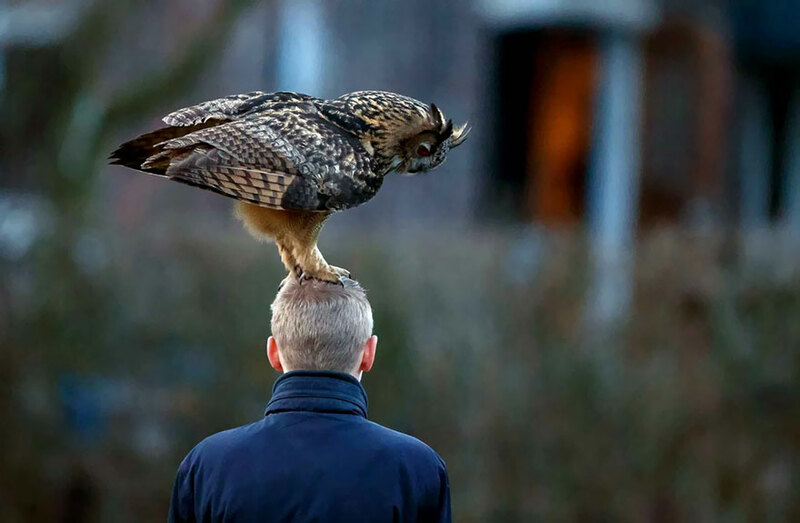 An owl that likes to land on people’s heads has rocketed a small Dutch town to fame. 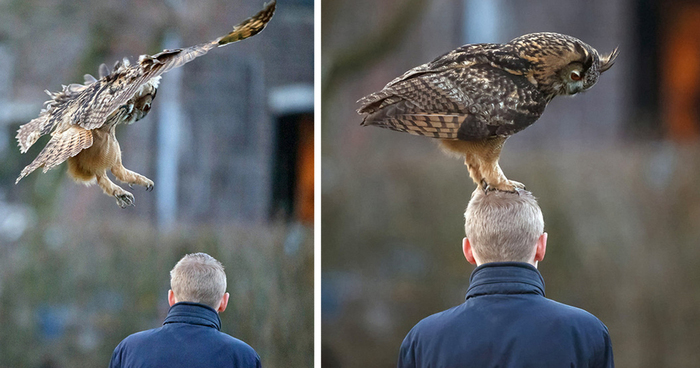 Menno Shaefer, a 48-year-old from Zaandam, Netherlands, managed to document this friendly 6lb (2.7kg) European Eagle Owl as it tried to roost on the heads of onlookers in Noordeinde town. There, it sat for up to a minute before looking for another resting spot. 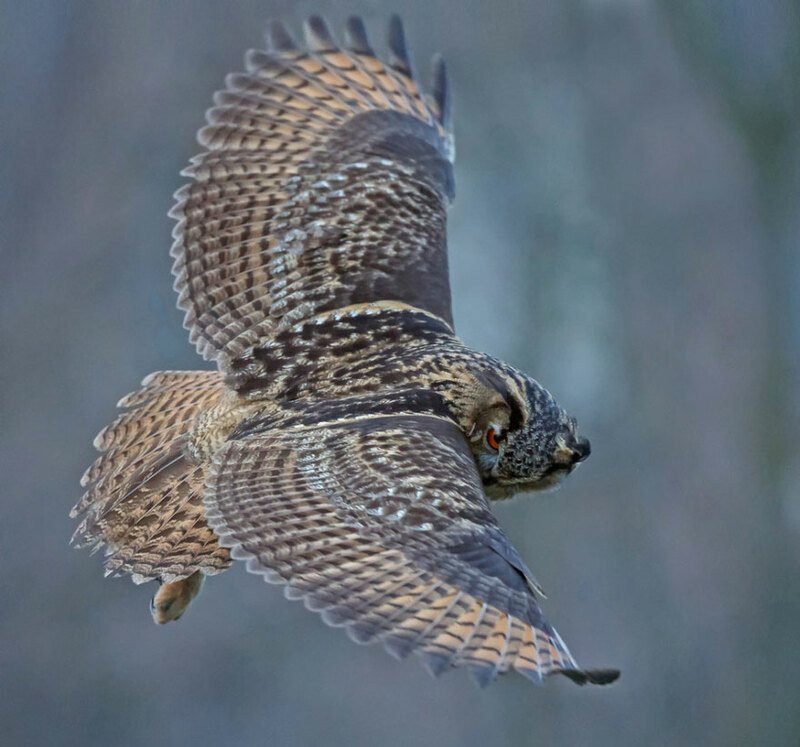 “Whilst photographing the owl, it did try to land one my head once,” said Shaefer to NL Times. 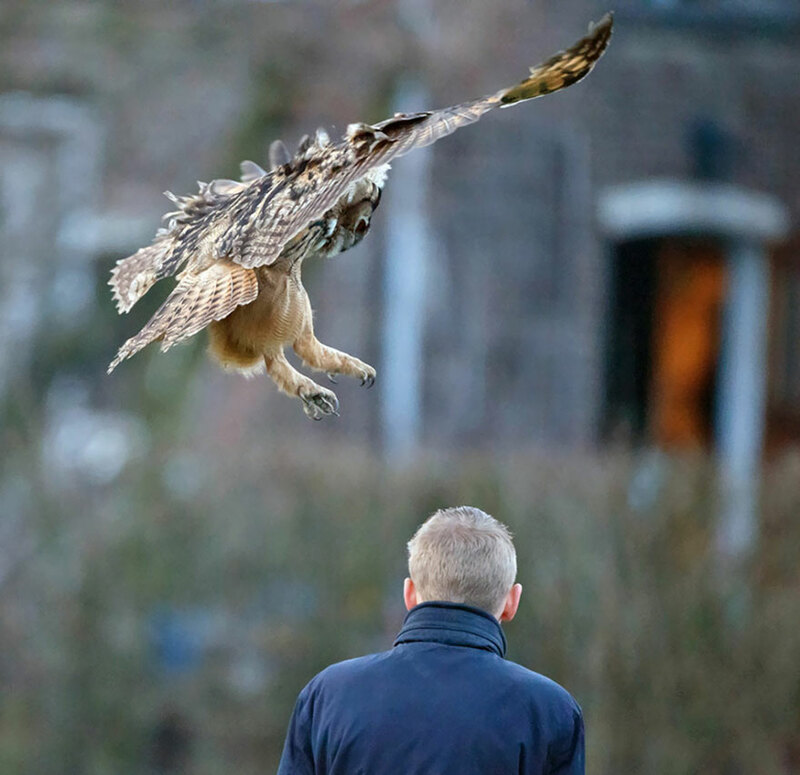 “However, as soon as I lifted my camera to get a shot, the owl flew onto my neighbor standing by my side.” Residents think that the owl might have escaped from an aviary in Oosterwolde, and are excited by the publicity. 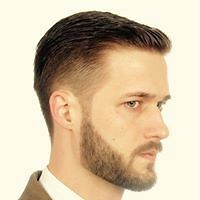 “I have seen photographers and birders from around the country, from The Hague to Spijkenisse, they come from everywhere to see the eagle owl. Our village is finally on the map!” , said one happy resident. 0:08 "Hmm...gotta get comfy first."